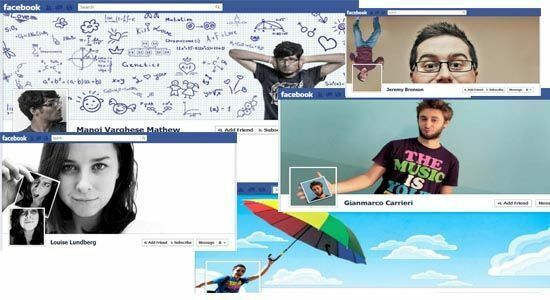 Facebook has given us new reasons to change our profile thanks to that new Facebook Cover Timelime. They have changed the look of your profile and the way the information is displayed, but best of all is that large image you can customize to make your profile to be amazing. If you are good using Photoshop and your brain works pretty well, you’ll be able to create stunning and surprising Facebook Covers like the ones you can see below, but if you are a common user, you may want a free online application like Cover Canvas to do the job. The application is very easy to use. We’ll only have to allow it access some information and we’ll have our new Facebook Cover created within some minutes. 2.- Then, you’ll see a new Facebook window in which you’ll have to click the Allow button to grant permissions to access photos and other stuff..
3.- OK, you are now in the applicatio itself. In the upper left corner, you’ll be able to choose whaat you ant to appear in the collage: name, photos or both two. 4.- The next step consists of choosing the style you like the most. There are many of them, so click them to preview the final image automatically. 5.- Don’t you like those photos? Do you prefer other ones? Don’t worry, click Remix Photos and the application will change them. 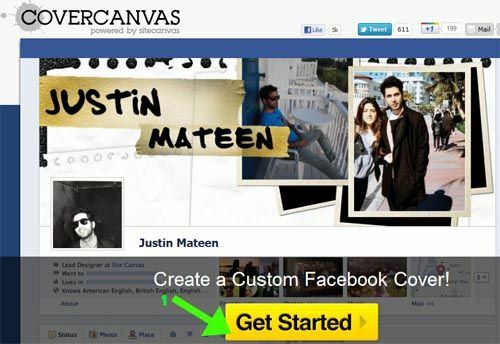 6.- Once you’ll have found the collage you like, just click the yellow button ‘Make My Cover’ and CoverCanvas will upload the new image to your profile images album. 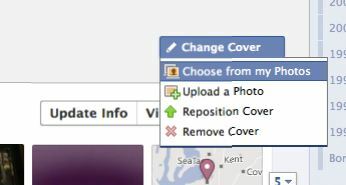 7.- Now you only have to visit your Facebook profile and change the cover image by clicking the ‘Change cover’ button on your over image. Choose ‘Choose from my Photos’ and select the new image which has been recently uploaded. That’s all. 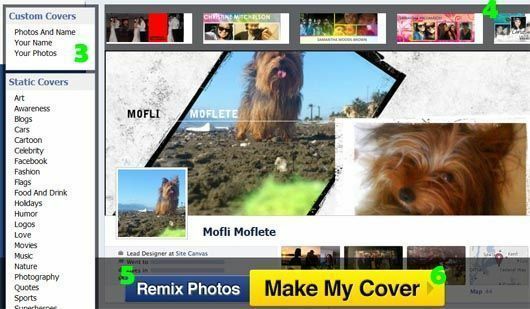 In short, if you want to surprise your frineds but your Photoshop skills are not as good as deisred, Cover Canvas can create an original composition for your Facebook Timeline. It will be different and everyone will be surprised. New, year, New Facebook, New Cover Image.